We are now on Discord! As a result, these forums are no longer maintained. If you are looking to connect with us, please apply to one of our many guilds, groups, or clans and we will process your application! The house is alive this night. Let's see what treasure we will discover. What have these crazy kids gotten up to this time? It's the moment you've all been waiting for... or is it? Dead Space 3′s microtransaction model didn’t go over well with gamers, but it hasn’t deterred the publisher one bit. EA’s financial officer Blake Jorgensen has revealed all of its games will feature some form of micro-payments. Last edit: 6 years 1 month ago by Bracsith. Look mom, I'm on Youtube! Is the next Assassin's Creed all about pirates? 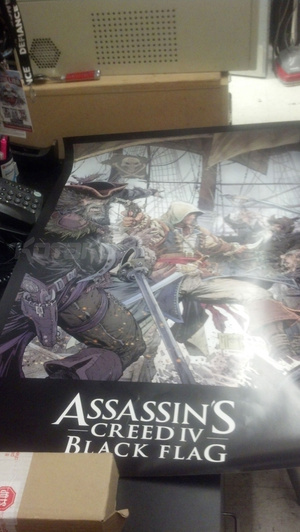 A tipster just sent over marketing materials for something called Assassin's Creed IV: Black Flag. Ubisoft hasn't announced anything about the next Assassin's Creed just yet, other than the fact that it will star a new character and a new setting, and it will be out next fiscal year. According to our tipster, this poster will be on store walls on Monday, March 4. 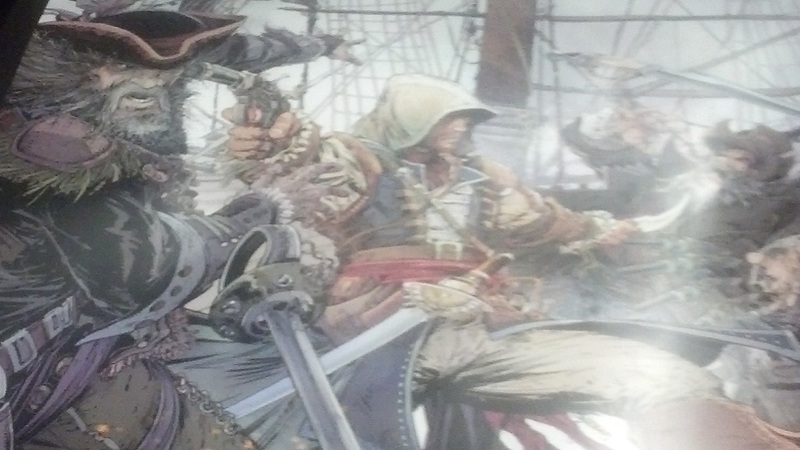 The poster shows a white-hooded assassin—presumably the protagonist of Assassin's Creed IV—on a pirate ship, surrounded by gruff-looking buccaneers. There's a black pirate flag in the background. Earlier this month, a Redditor claimed to have seen the name Assassin's Creed IV: Black Flags on an airplane while peaking at a powerpoint presentation by the woman who sat in front of him. "I was on a flight where the lady in the row in front of me was working on a powerpoint presentation on marketing strategies of several gaming titles," Redditor photoacoustic wrote. "And one that stood out the most was AC4: Black Flags, aimed for release 2013 Holiday season according to her slide. It already had a cool looking logo for it." My fiancee said they got all the marketing for this stuff in yesterday and it will be posted on March 4 in all the stores. Last edit: 6 years 1 month ago by Grey. Oslo, Norway – February 27th, 2013 – Funcom is thrilled to announce its new and exciting strategy for its Montreal studio, where the company has established an experienced team of talented developers who will be building high-quality games and technology for mobile and tablet platforms. Funcom is also very pleased to announce that the new strategy is being kicked off by the development of two new mobile and tablet games based on the immensely popular LEGO® brand. The two newly announced LEGO® titles are being developed on a work for hire basis for the LEGO Group, and Funcom is in the process of securing similar opportunities for the Montreal studio going forward. The new branch strategy is part of Funcom’s overall company-wide strategy of building smaller, high quality games, and it is Funcom’s ambition for the Montreal studio to grow and become a key player in the emerging mobile and tablet gaming space. An update on the ongoing restructuring process and its new strategy will be communicated at the upcoming presentation of the company’s Q4 2012 results on February 28th, 2013. We don't know if you guys are aware of this or not, but the human body is a disgusting thing. Even the really top notch, showroom-quality human bodies are essentially sacks of greasy tubes and cartilage. Here to remind us of that fact in stunning detail is Project Awakened 's Unreal Engine 4 tech demo, which shows just how elaborate the game's character creation system could be. Now, we doubt Project Awakened will allow players to select from a multitude of different organs or anything, but the super powers shown off are quite impressive looking, if a bit disturbing at times -- we're looking at you, weird split-open-hand-bone-thing. Of course, Phosphor Games will only be able to turn this flashy demo into something tangible if its ongoing Kickstarter proves successful, but with only four days left on the clock, and around $300,000 in funding still needing to be raised, that looks increasingly unlikely. "What Valve does or doesn't do with its Steam Box will be up to them." Xi3 Corporation has issued a statement about its Piston console and its relationship with Valve Corporation. "We reaffirm the fact that we received an investment from Valve Corporation (as we previously disclosed during the 2013 International CES trade show), and we did so with Valve's written permission," said founder, president and CEO of Xi3 Jason A. Sullivan in the statement. "Second, we were asked to build a product specifically for Valve, and both companies showcased this product – the Piston console – in their respective booths at CES 2013." "Then, during a meeting with Valve at CES, Gabe Newell personally asked me that we not disclose additional information about our relationship with Valve. We have honored that request and will continue to do so." Sullivan went on to address what he believes are some misconceptions. "For example, the assumption of many in the media has been that Piston is the 'official' Steam Box," said Sullivan. "We've never said that and neither has Valve. That hasn't changed. But just because Valve may not 'currently' have any 'involvement with any product of (ours)' doesn't mean that such involvement won't exist in the future." "It's also important to note that the Piston Console will allow gamers to access Steam regardless of what our relationship is or isn't with Valve. Additionally, Piston will also support a raft of other Internet-based gaming and entertainment platforms, which is more than what Valve apparently has planned for its official Steam Box. In this way, the Piston Console could be perceived as something more than just a Steam Box, which makes sense because at its core the Piston Console is a Modular Computer that can run any operating system or application designed to run on an x86-based 64-bit computer. "To be clear, the Piston Console will ship initially with a Windows operating system specifically because that's where the vast bulk of game software and computer gamers are today. That said, the Piston Console can also run Linux (and other operating systems), which means it can support the Linux-version of Steam. "Contrary to Valve's vision, Xi3 believes that the way to take this to market today is to do so with a Windows OS at the core, coupled with the ability to not just get to one platform/store for games, but to get access to all game stores/platforms. Studios should have the option to go through Steam if they choose or to go direct to the end-user if they so choose. That will be the difference between Piston and other Steam Boxes. You'll be able to access Steam if you choose, but you'll also be able to access other platforms as well – all through the Piston Console. "In closing, what Valve does or doesn't do with its Steam Box will be up to them. So Gabe, it's up to you. The ball is in your court." A Valve spokesperson clarified to IGN on March 11 that "Valve began some exploratory work with Xi3 last year, but currently has no involvement in any product of theirs." "If there is enough interest, I'll do a Kickstart on it." Road Rash creator Dan Geisler has stated he'll look into creating a new Road Rash game if enough people are keen on the idea. Geisler made the announcement on Reddit when answering a question about why the series never reappeared, but explained he'd probably have to look to crowd-funding to get the project off the ground. "It hasn't resurfaced because I was burned out after Road Rash 3," he explained. "But I'm ready to do another one now. I just needed 20 years off. "I'm ready to make a better one now. I miss playing it too. If there is enough interest, I'll do a Kickstart on it." He then posted a picture of himself with yesterday's date, effectively silencing critics who were questioning his identity, before continuing, "I am who I say. Road Rash was my baby. I will need to talk with EA to get the rights. But I don't think they have a lock on motorcycle combat any more." It sounds like Geisler is aware he may be fighting a losing battle when it comes to prising the rights from EA, so a spiritual successor may be more likely. What do you think? Would you support a Kickstarter for a new Road Rash game, or do you think the world has moved on from swinging chains at each other from the back of a motorbike? Let us know your thoughts in the comments. Until now, there just hasn't been a suitable place to pick up a pair of snazzy Vault 101 sneakers or a tasteful lithograph of the Skyrim landscape. Bethesda has solved that problem with a brand new online store , hocking wares that run the gamut from t-shirts to that recently announced and expensive Dragonborn statue. The store also hosts Elder Scrolls merch, Dishonored pendants, and a nearly convincing Vault-Tec work shirt – you know, in case you pick up that quest to infiltrate a robot manufacturing plant. 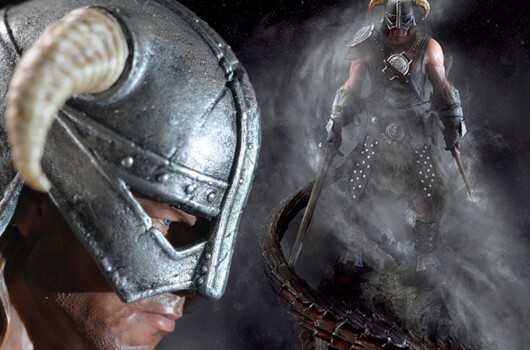 The Dragonborn – or simply "Dovahkiin" to his pals – is available now for pre-order as a 16-inch statue from GamingHeads.com. Inspired by Skyrim's official artwork, the poly-stone statues is hand finished and hand painted. The Dov also comes dressed in "hand-tailored fabrics for unparalleled realism." No off-the-rack nonsense for the dragonborn. It's all couture. And, as we all know, couture costs copious amounts of cash. The "Standard Edition" of the statue is $299.99, limited to 1,000 pieces worldwide. For those who believe a dovahkiin uses magic, then they'll want the $329.99 "Exclusive Edition," which adds an alternate arm with fireball that "illuminates and pulses like real fire." The statues are expected to ship via invisible dragons to doorsteps in the fourth quarter of this year. 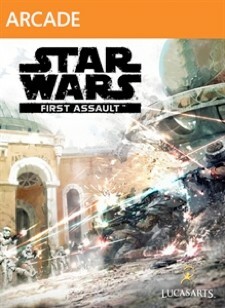 LucasArts never officially announced Star Wars: First Assault, but it was scheduled to launch this spring as a multiplayer shooter, according to Kotaku. First Assault is still in production, but it's caught up in a company-wide freeze following Disney's purchase of LucasFilm in September, according to reports. And it looks something like this , Kotaku says. The website has two pieces of footage that it says are from First Assault, both cut from a trailer used internally late last year; the gameplay video shows action mostly in first-person, though there are a few scenes of third-person fighting. It's all in-game footage, including a few bugs and incomplete art, and it is an "older" version of the game, Kotaku says. Free content in both games for PC players. Capcom and Valve have revealed the Resident Evil 6 x Left 4 Dead 2 crossover project. According to the announcement today, characters from Left 4 Dead 2 will be featured in the PC release of Resident Evil 6, while Resident Evil 6 enemies will appear in the PC version of Left 4 Dead 2. The crossover content will be free in both games. Resident Evil 6 will allow players to choose Left 4 Dead 2’s Coach, Nick, Ellis or Rochelle while playing the PC’s exclusive The Mercenaries No Mercy mode, and each will come equipped with “a special customized weapon load-out created just for use in Resident Evil 6.” Special Infected zombies The Witch and Mini Tank will also appear in the mode. The Left 4 Dead 2 content will be available in the PC version of Resident Evil 6 beginning on April 5th. Meanwhile, Left 4 Dead 2 will receive the Lepotitsa, Napad and Ogroman enemies from Resident Evil 6, all “brought to life in Left 4 Dead 2 by Valve’s renowned developers using its Steam Workshop tools.” The additional enemies will be available this Spring. “We’re huge Resident Evil fans, so when the opportunity arose to work directly with Capcom to combine L4D2 and RE6, we jumped at it,” said Valve’s Chet Faliszek. “The Resident Evil 6 team really enjoyed working on this crossover, and we’re confident that our fans will have a great time with it too! We hope you enjoy this unique content,” Resident Evil 6 producer Yoshiaki Hirabayashi added. Blu-ray disc drive only used for distribution. Rumors about an anti-used game system in the next Xbox -- codenamed Durango -- have swirled for some time now. Vgleaks posted a number of screenshots today, reportedly displaying information contained in the Durango Xbox Development Kit (XDK). The screens, which IGN sources have verified as accurate, confirm a number of rumored features of the next-generation Microsoft console, including a new high-fidelity Kinect sensor. But perhaps a troubling revelation for used game purchasers, the documentation includes a rather blunt reference to mandatory game installs. 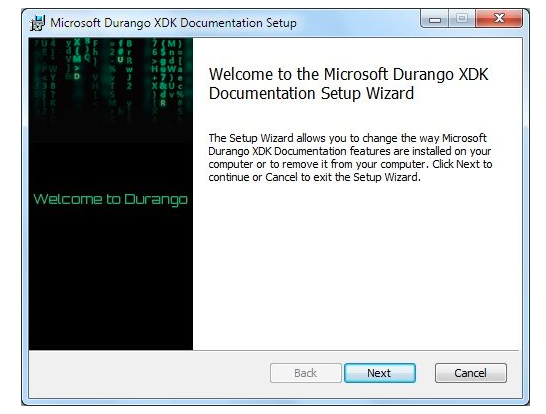 "Every Durango console will have a hard drive, although its exact capacity has not been chosen," reads help documentation in the Durango XDK. "It will be large enough, however, to hold a large number of games. All games will be installed on the hard drive. Play from the optical disc will not be supported." The documentation goes on to state Durango games will be distributed on Blu-ray discs, but the discs are purely used as a means to install data, and will not be read during gameplay. Also of note: the Durango will feature "Always On, Always Connected" online connectivity. Whether Microsoft will use the always-on functionality as a means of DRM is unclear; the documentation only mentions background updates, similar to those announced for the PlayStation 4. Such a system could spell big trouble for used game retailers like GameStop, and even larger issues for gamers who depend upon the lower cost of second-hand discs. All articles, forum content, and other user-generated, original content is copyright © Impact Gaming Community 2010-2019. We are Gamers. We make the Impact. This is IGC.